Here for sale is a 2004 04-plate Ducati ST4S 996 with 32,480 miles on the clock. 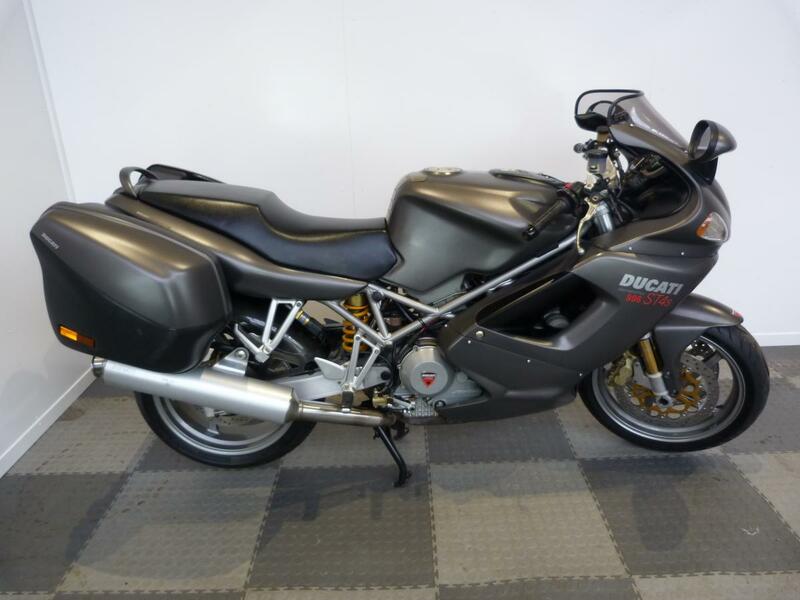 This Lovely Condition Ducati has been very well looked after and has a good service history. The bike has a folder absolutely stuffed with paperwork, Mot's, Previous invoices and manuals. It is fitted with all the S model extras like the Ohlins rear shock absorber, Showa front forks, Marchesini wheels etc. Also it has a Full Pannier set (Not shown in pictures), Carbon fibre rear hugger, Oberon slave cylinder and centre stand. The will also be fitted with new cam belts upon sale.